Sid has been in real estate since 2008 and is a Certified Military Real Estate Specialist with several professional real estate designations. Sharing his expertise in educating new home buyers proves to be a very rewarding experience for Sid. He has a passion for guiding others through the sometimes-complicated real estate process, working endlessly for his clients, helping them achieve their real estate goals only in the most positive way. As a presenter, Sid has had the privilege of sharing his extensive knowledge as a training instructor and serving on an assortment of real estate panels. Today’s buyers and sellers need a trusted resource and you can be confident Sid Boersma is that person to assist you honestly, ethically and with exceptional professionalism. He is your proven expert for real estate industry insight and advice. Sid has 2 grown children and resides with his lovely wife in Stoughton. 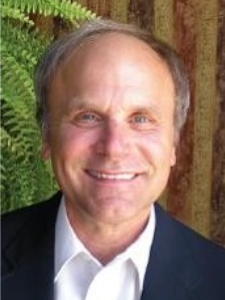 He has 30 years in the social work field with mediation and supervision. Sid has also worked extensively with the American Red Cross. His experience as an Army veteran and social worker provides a unique insight into the needs of active-duty and former military members and their families.